Ethan Austin updates WSKI viewers every Saturday morning at 7:45a.m. on our live show, the Mountain Report. The way-cool new Replay App & other news from the Mtn. make this chat with Greg worthy of special note: we’ll keep you updated on Sugarloaf’s latest with Ethan, so please keep checking with us!!! 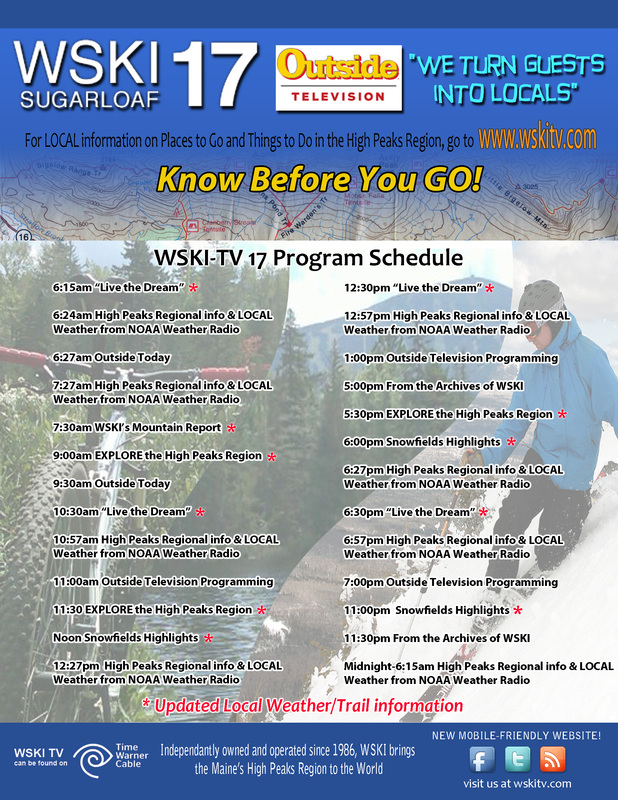 As our guest on WSKI’s Homecoming live show the Mountain Report, Ethan Austin, Sugarloaf’s Communications Manager, gives Capt. Kip the update on all the progress on the Mountain throughout the summer & fall.